Blockchain’s increasing utility in diverse use cases is moving the world closer to a trustless economy, thus removing the need for third parties to exchange goods and services. Transaction volume on exchanges has reached $20B per day, market capitalizations are through the roof, and user adoption has reached a truly global scale. However, most of the world’s digital currencies are currently traded on centralized systems. That’s right, decentralized assets are being stored and traded on centralized platforms which operate as escrows for their clients and do not record transactions on the blockchain. In fact, over 99% of cryptocurrency transactions currently pass through centralized exchanges on platforms such as Coinbase, GDAX, Binance, and Bittrex. This has led to massive security breaches and the unsafe handling of funds, private keys, and personal data. In the first four months of 2018 alone, more than ~$730M in cryptocurrency has been stolen by hackers. Trading cryptocurrencies is a risky business, but there is no reason that traders should face risks other than those they are already willing to take. The drawbacks of centralized exchanges have been well documented and since most crypto traders keep their tokens on exchanges, this is a security issue. The blockchain community understands this problem, and several entrepreneurs are taking it upon themselves to create what they believe will be the future of trading: Decentralized Exchanges. Decentralized exchanges allow traders to remain custodians of their own funds. Centralized Exchanges (CEX): A centralized exchange is a third-party platform that matches two entities, such as individuals and institutions, looking to transact or exchange with each other. Centralized exchanges enforce KYC and AML verifications and facilitate fiat on/off-ramps. These platforms also store much of their customers’ personal information, account balances, portfolio allocations, and fund positions. No single point of failure: Centralized exchanges generate significant trade volume through the millions of customer funds and accounts that utilize the platform. These exchanges serve as legal custodians responsible for the billions of trades per day, all of which are maintained on traditional servers. By allowing customers to log in with an email and password, centralized exchanges become a hugely attractive target for hackers and bad actors. Decentralized exchanges, on the other hand, run on a distributed ledger and therefore do not face the same risks of exploitation. If certain nodes are breached, the network would still operate normally and security would not be compromised. Also, because they do not hold the funds and the private keys of their entrusted users, decentralized exchanges keep their users’ funds and personal data secure without undermining their privacy rights. No single point of control: One of the main reasons why cryptocurrencies appeal to such a massive, global audience is because they can operate outside the reach of any one government, regulator or central authority. While this clearly raises questions on best practices to monitor criminal activity of funds, it also means that individuals can escape corrupt government regimes that have the ability to improperly seize privately owned assets. In a truly decentralized exchange, there is no way for any one person or entity to “take control” of the system, making it much more resistant to censorship, government interference, and power games. Listed above: Kyber Network, EtherDelta, Airswap, 0x, Stellar, Bitshares, Bancor, EthFinex, Altcoin.io, Republic Protocol. Usability: The relatively poor (in comparison to Coinbase) user interface and user experience of DEX platforms drastically restricts their reach. Functionality: Decentralized exchanges are still well behind centralized exchanges in terms of functionality, including shortcomings in order type (no stop loss or limit order available). Their low trade volumes also limit the diversity of coins made available and contribute to a lack of quality coins to trade. Speed: Validating each transaction on the blockchain takes time. Interoperability: There is a need for cross-chain exchanges and more decentralized platforms to interact with one another. Liquidity: Traders do not join decentralized exchanges because few other traders are on the marketplace to be the counterparty for their trade, which leads to a low transaction volume and the classic “chicken and egg” problem. Experts argue whether the switch to decentralized exchanges will take place soon. However, one catalyst that might spur the adoption and advancement of decentralized exchanges, according to some VCs, is the shutdown or failure of a top 20 centralized exchange. There is no doubt that the challenges facing decentralized exchanges are solvable, and many are confident that they will be an essential pillar of the blockchain ecosystem. 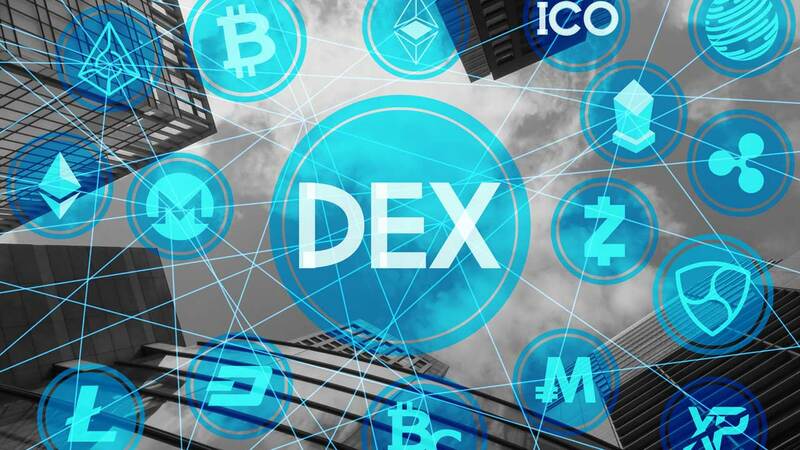 Here is a comprehensive list of decentralized exchanges (DEX) of cryptographic assets (cryptocurrencies, tokens, derivatives, and futures). In some cases, the projects are built entirely in open source. What are Stablecoins and Why are they Necessary?